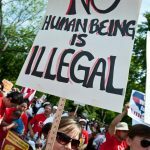 US immigration policies aimed at identifying and deporting undocumented immigrants are often problematic. Research consistently shows that such policies lead to widespread racial profiling, indefinite detention without due process, damage to public safety, and many privacy and civil rights violations. 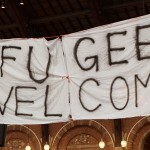 But the trend toward documentation extends beyond the immigrant community. The FBI has developed NextGen, a national biometric identification system for all Americans, regardless of citizenship or immigration status. 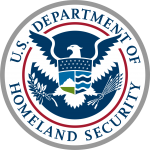 The Department of Homeland Security is overseeing the implementation of a Real ID, which will force states bring their driver’s licenses into compliance with federal standards, in effect creating a national I.D. card and database. DHS also oversees e-Verify, a national database employers can check to see if someone is legally allowed to work in the U.S., thereby creating the situation that people need the federal government’s permission to work. The emphasis on documentation puts the federal government directly at the center of our lives, and the vast databases of our personal information creates significant privacy and security risks. 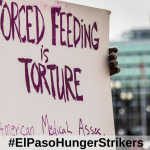 February 11, 2019 – DRAD joined with dozens of other advocacy organizations to send a letter to DHS secretary Kristjen Nielson expressing concerns about treatment of people detained at ICE facilities, and demanding immediate changes. 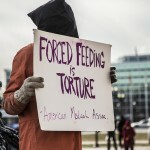 February 7, 2019 – Asylum seekers in ICE detention are engaged in a hunger strike to protest their unjust detention and deplorable conditions. In response, ICE agents are force feeding them, a cruel and painful process that violates their human rights. November 29, 2018 – Defending Rights & Dissent joins people around the world in expressing our outrage, disgust, and horror that US border agents attacked refugees, including children, with tear gas. The images of children, already refugees from violence and poverty, fleeing from tear gas is gut wrenching. November 8, 2018 – According to ICE’s data, there was a 41% increase in the number of undocumented immigrants arrested by the agency in 2017 compared to the previous year.